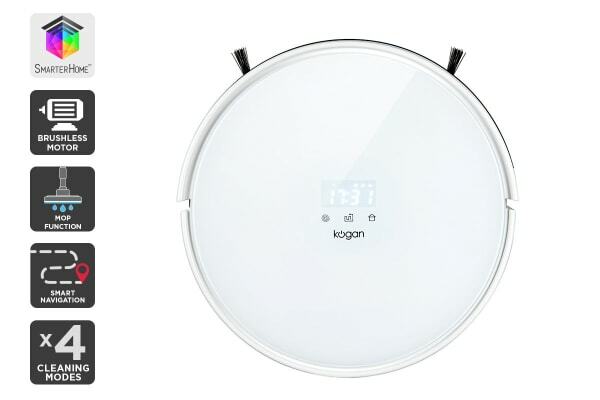 Featuring a built-in gyroscope and acceleration navigation system that intelligently maps the room from its starting point and the distance covered, the Kogan R40 SmarterHome™ Smart Robot Vacuum with Mopping Function routes how best to efficiently eliminate dirt and grime. 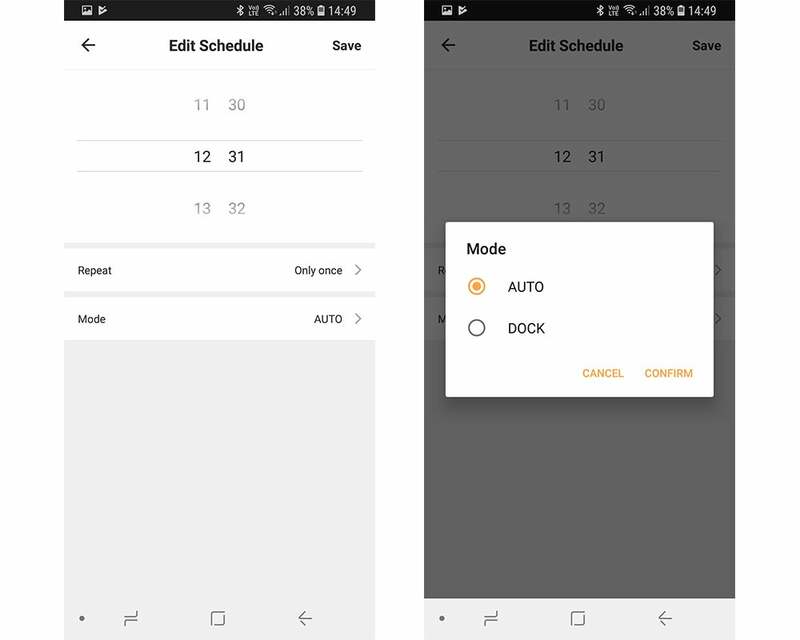 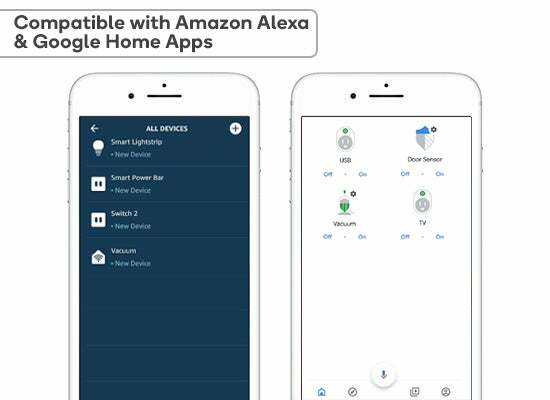 With the free Kogan SmarterHome™ app, you can set schedules, turn off/on, check your battery and switch modes. 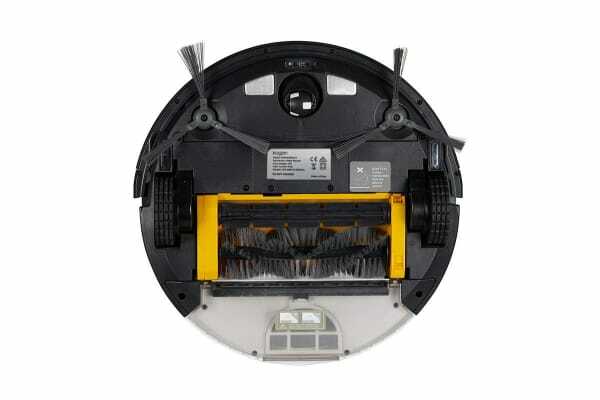 This means you can even schedule the vacuum to clean while you’re out! 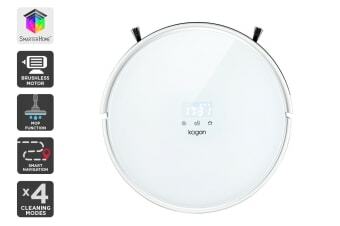 The Kogan R40 SmarterHome™ Smart Robot Vacuum with Mopping Function is also compatible with Alexa and Google Assistant. 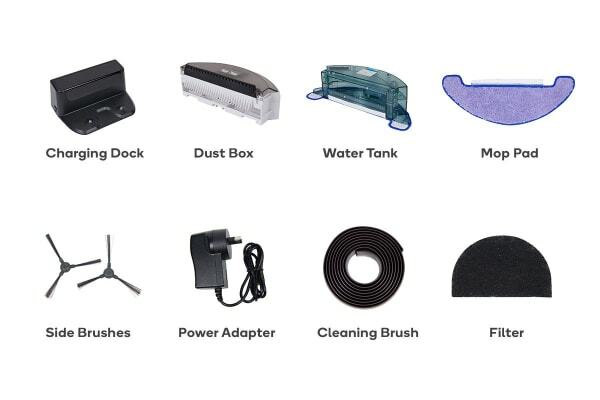 The brushless motor has an incredible 1800pa of suction power to trap debris quicker than non-brushless alternatives, while the mopping function picks up leftover specks of grime without compromising on run time.